Webb Designs & Launches Dental Wellness Portal My Smile Guide.com. 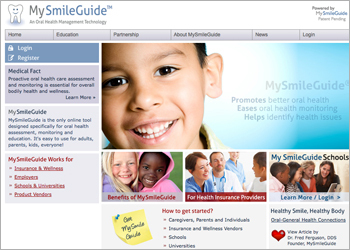 Webb created a highly scalable & secure dental wellness portal at www.mysmileguide.com used by insurance companies and schools. A consistent and logical navigation scheme was implemented to let the user easily navigate the great volume of information. The project provides extensive user interface enabling registered users to contril the porcess of orl hygene through school systems and association participation.